My kids love the dance game. Our bathroom turns into a dance floor every night. Lots of fun watching! Subscription customers have unlimited access to all brushing game apps (Android and iOS). This includes our very first multiplayer game, Utoothia Dance, where two children can brush and play at the same time, competing in a dance battle. 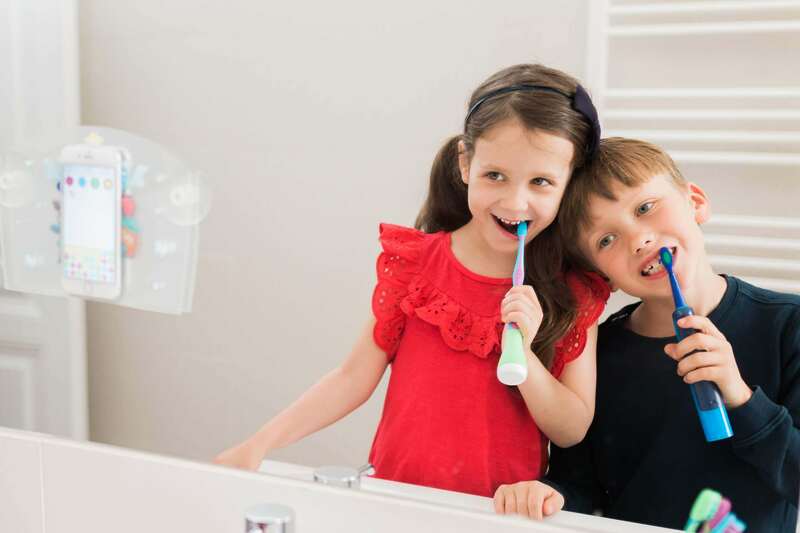 Do your children actually clean their teeth? How long for? Did they ignore any areas of their mouth? The Statistic section in the Playbrush App will answer your questions! Did you know that there can be as many as 600 bacteria on a single toothbrush? That’s why we have decided to deliver replacement brushes for your Playbrush Smart Sonic straight to your door! Brush and save money! 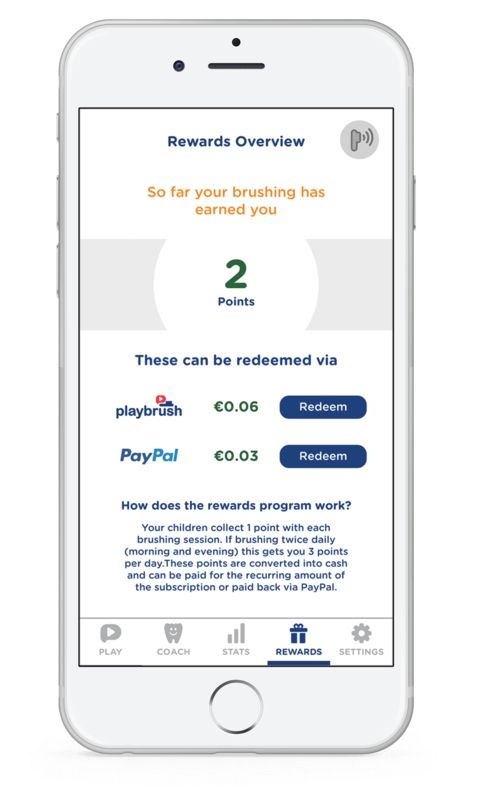 Your children earn reward points with every brush, which are then credited to your Playbrush subscription account. 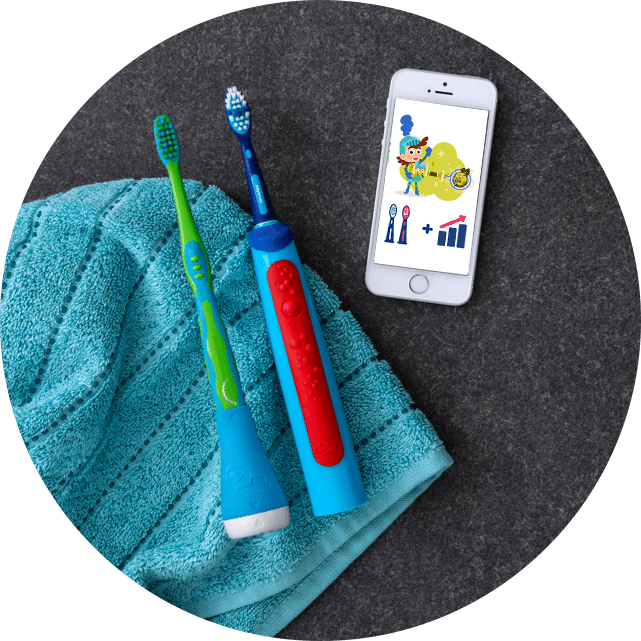 ✓ Your children collect 1 point with each brushing session. ✓ If brushing twice daily (morning and evening) this gets you 3 points per day. These points are converted into cash and can be paid for the recurring amount of the subscription or paid back via PayPal. 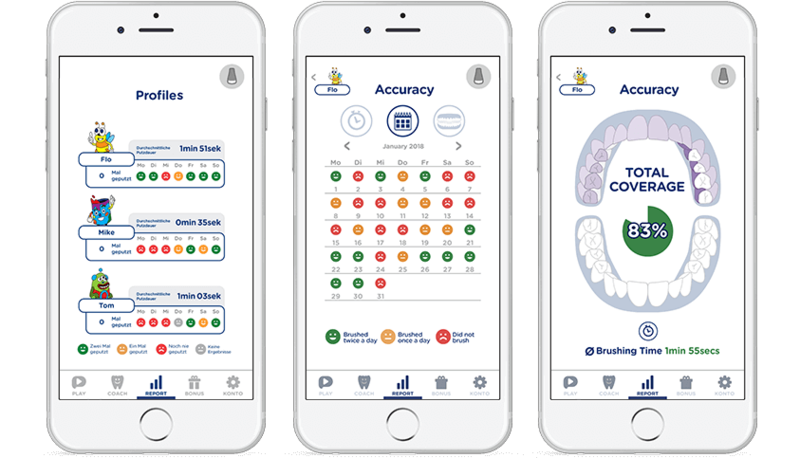 Choose between Playbrush Smart, our attachment for any manual toothbrush, and Playbrush Smart Sonic, our fully integrated electric toothbrush! 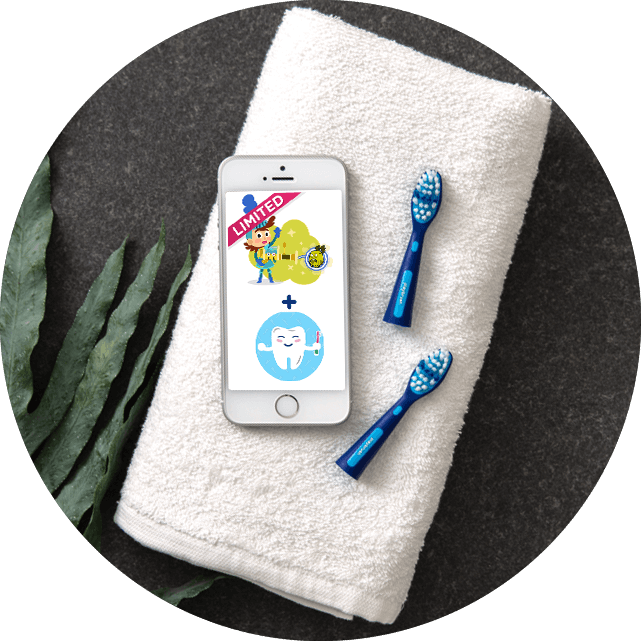 Find your Playbrush with the right dental plan here! Upgrade to a Playbrush Plan and receive all Playbrush brushing games, detailed brushing statistics, reward scheme and periodic brush head deliveries. Subscribe now and test it for 30 day. Cancel anytime.